While we tend to think that inflammation affects only older people, it really is an illness of all organs at all ages. In fact, new insights reveal that inflammation prevention should start at birth. Scientists who study infants are proposing a new theory: how a baby enters the world and how a child is raised can predispose the child to later inflammatory illnesses. 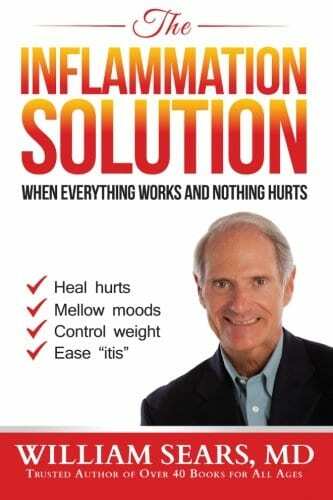 In Dr. Sears’ most recent book, The Inflammation Solution: When Everything Works and Nothing Hurts, he presents revolutionary concepts that go beyond the reach of standard pharmaceutical medicine and treat the root of inflammation by prescribing changes in one’s lifestyle, exercise, attitude, and nutrition that will prevent and even repair the effects of these dangerous degenerative diseases. He writes about childhood inflammation solutions and how improving birthing practices, enhancing breastfeed, and feeding kids real food can give children a good gut start toward reducing the risk of growing up to be adults with “-itis” illnesses. The Inflammation Solution: When Everything Works and Nothing Hurts, learn what you can do from birth through childhood to reduce your child’s risk of future “-itis” illnesses. If you would like to work with a Certified Health Coach during your pregnancy, or postpartum, you can find a Coach in your area.